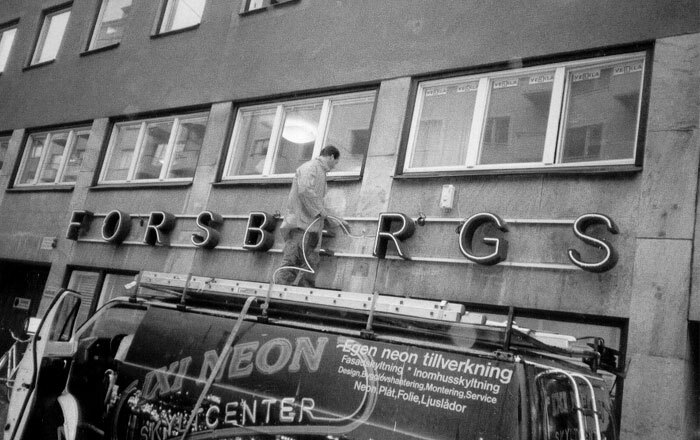 Forsberg’s School was founded by Pia Forsberg and Pelle Lindberg in the autumn of 1991. Karl-Erik Forsberg and Vidar Forsberg were also on the board of directors at the start. Stockholm’s southern district. The focus of the education is on graphic design, advertising and copywriting, with a goal to be innovative and creative in all types of design, advertising and communication. The idea is that the main fields of studies Graphic Design / Advertising and Copywriting should enrich each other and that the students cooperate on various projects. The students at Forsberg’s School have over the years made many exciting projects and exhibitions in Sweden and abroad, including the final exhibitions at the Institute of Contemporary Arts in London, Nordiska Kompaniet, Hovstallet, Humlegården, Strand Hotel in Stockholm and Annika Sundvik Gallery in New York. All teachers at the school are professionals in their respective fields and help to create unique projects, providing experience and insight into what is applicable in the industry right now. To our delight, many of the industry’s most successful names received their education at Forsberg’s School.